As you plan your move to Canada, you need to think about money. Exchange at least some money into Canadian dol­lars before you arrive in Canada, so you have cash on hand for taxis or pub­lic tran­sit, food, and incidentals. Airports and hotels usu­ally have unfa­vor­able exchange rates. You’ll get bet­ter rates from banks or from an online cur­rency exchange ser­vice. In addi­tion to accounts in Canadian dol­lars, most Canadian banks will also let you open an account denom­i­nated in US dol­lars, which is help­ful if you’re relo­cat­ing from the United States or if you reg­u­larly receive US dol­lar payments. All major Canadian banks use the Interac debit card net­work. Mastercard, VISA, Cirrus, and Plus cards are accepted at nearly all ATMs (called ABMs, or Automated Banking Machines, in Canada). If you must use a non-​​Canadian card to with­draw Canadian cash from an ABM, you’ll get a bet­ter exchange rate by using your debit card than your credit card. Better still, use a rep­utable online cur­rency exchange ser­vice. 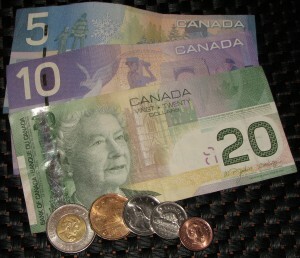 If you are work­ing or invest­ing in Canada, you will likely need to pay Canadian income tax. Consult a qual­i­fied accoun­tant, tax pre­parer, or finan­cial advi­sor who is famil­iar with cross-​​border tax issues.